This entry was posted in Best Practices, Pedagogy, Teaching Methods and tagged Benjamin Bloom, Bloom's Taxonomy, course design, Richard Shingles. Bookmark the permalink. 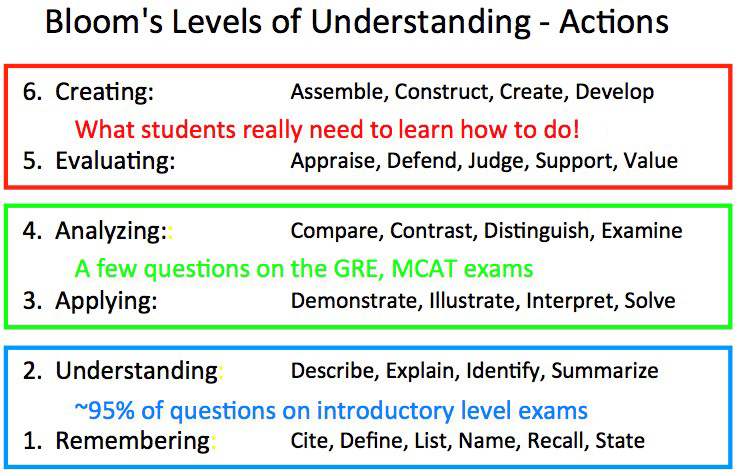 For someone still trying to “learn the ropes and tools of pedagogy” this was very helpfull. Thanks for sharing. 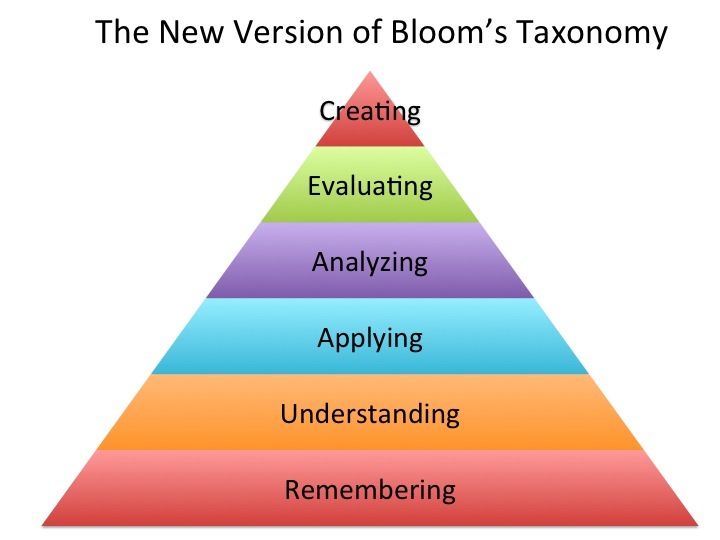 It’s interesting (and probably telling) that the answer to the question of “Why use Bloom’s Taxonomy?” is usually something along the lines of “Because it’s a very useful tool.” Useful for what? Useful compared to what? There are several other taxonomies of learning that can help those designing instruction ensure that students have the underlying support to reach the desired performance level. It is less useful for those not designing instruction, Essentially students must remember relevant facts in order to understand details regarding the subject at hand. I personally find Bloom’s Taxonomy a bit more approachable than the taxonomies developed by Gagné but Gagné’s domains of learning and their associated taxonomies can offer additional detail and nuance for those developing instruction. Pingback: Resources For the Flipped Chemistry Classroom - Chemistry Is My Jam! Any chance you can change the typo in 6. Creating from “too” to “to?” Thank you! Thanks for pointing out the typo. It has been corrected. I believe the top two levels of the cognitive domain are interdependent, as whilst something is being created or developed there is a degree of evaluation going on and the purpose of evaluation is not really an end in itself, in that in any evaluation the desired outcome is improvement whether it’s of yourself or others. the two higher order skills then become an iterative process where thoughts and products are honed, with the aim of improving on previous iterations.